6" collectible, bendable figure boxed set. 6" figures. 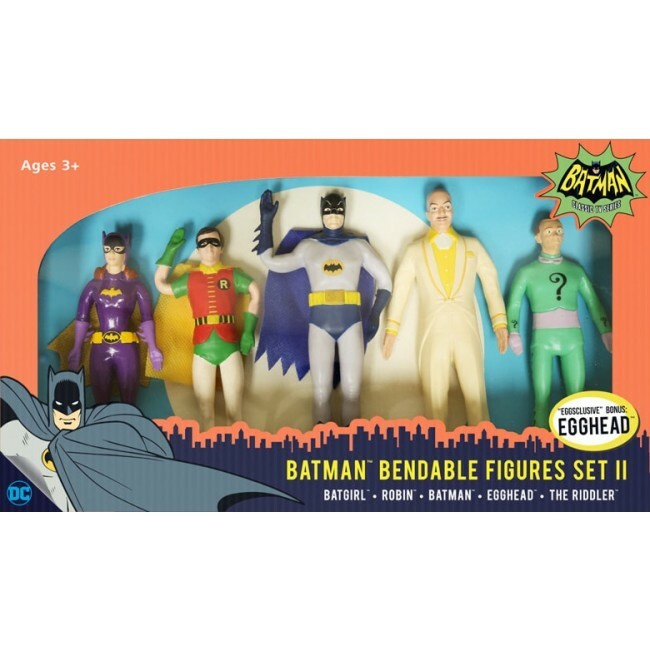 Includes Batman (Adam West), Robin (Burt Ward), Batgirl (Yvonne Craig), The Riddler (Frank Gorshin) and Egghead (Vincent Price). Egghead is sold "eggsclusively" as a part of this set.